Hello dears, welcome to Simply Neutrals! Nature is still providing us here on the northern hemisphere with beautiful winter neutrals. 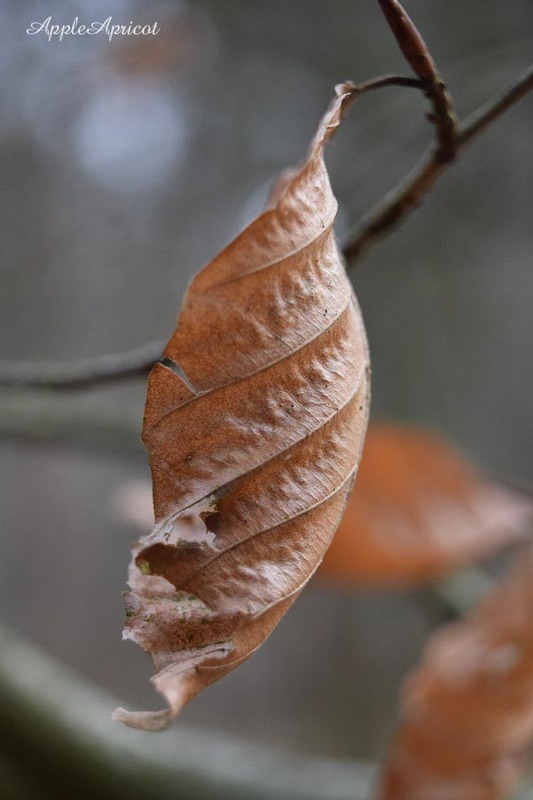 Like these leaves that I found in the woods, in decay, still hanging on by a thread to their branches. Soon they will be replaced by fresh green new spring leaves. The seasons and elements have their influence on man-made stuff as well. 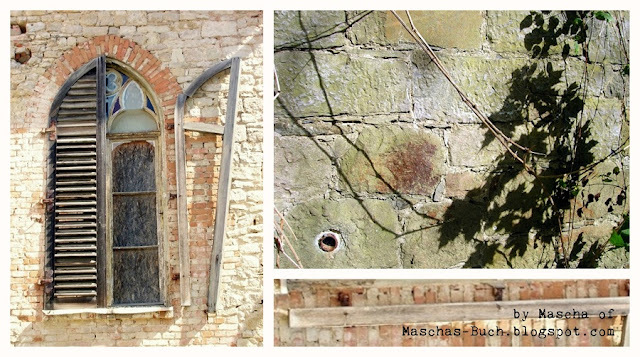 Like the beautiful old walls and window dear Mascha of Maschas Buch shared with us. Mascha often shares beautiful photos of old buildings on her blog. Hello Wen! 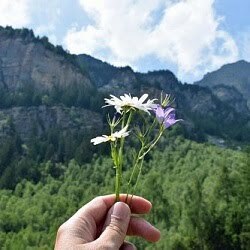 I love your beautiful photos of the leaf and Mascha's photos and collages are always a feast for the eyes! 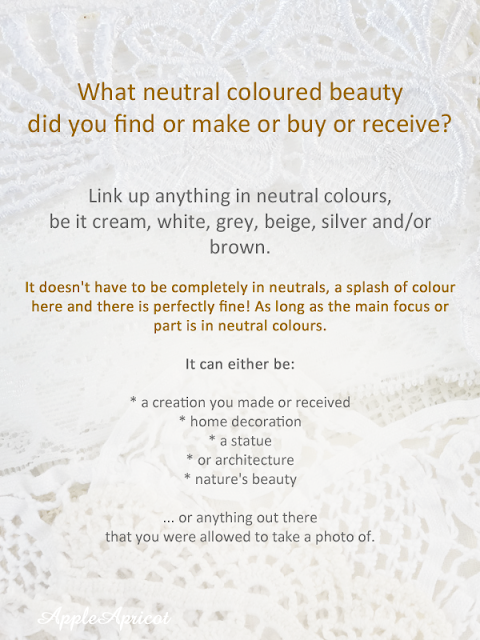 Happy week for you and thank you for hosting Simply Neutrals #37 for us! Dear Wen, thank you again for your so lovely party here, your stunning photos makes me smile, on a very rainy and grey day here. Also wonderful photos from Mascha`s lovely blog. we were out for a walk in nature yesterday and I looked and looked for a skeletal leaf! to no avail and here you have one hanging still! Just beautiful! Happy Tuesday and I hope your week is just lovely! Your Winter leaves are amazing hanging so delicately there and your photography is superb dear Wen! You are so gifted with this! Thank you for always hosting this SNT party for us. We are always inspired by the beautiful artworks and images here such as Mascha's today. 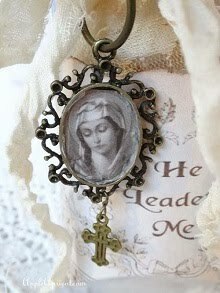 I so love her blog! Great leaf pictures, I love the old bricks too! 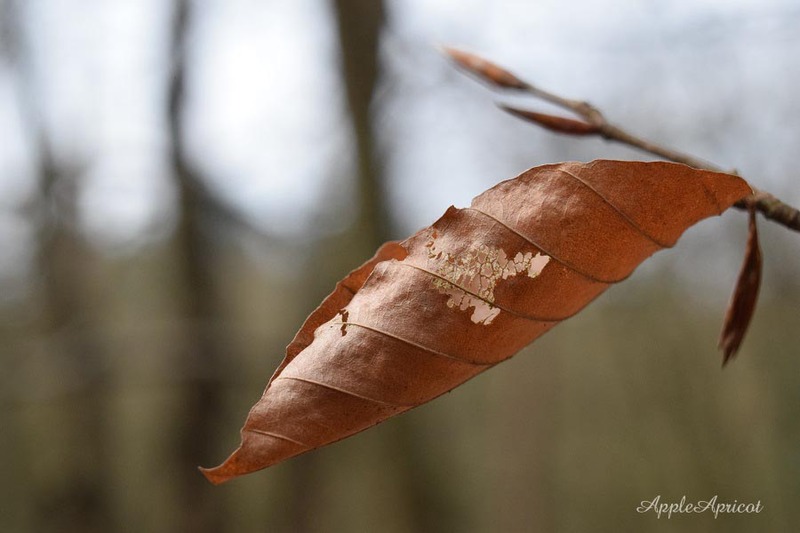 Hello Wen, What beautiful leaf photos you have shown us. Fancy those leaves hanging on all through Winter! Mascha's photos were full of atmosphere. Thanks for hosting SNT once again. Hope your week is full of beauty. We're hopeful for spring here too, but woke up yesterday to yet more of the white stuff (but fortunately not what they're currently getting on the eastern seaboard). I'm always amazed by how many trees manage to hold onto their leaves throughout the long blustery winter - you'd wonder at their tenacity.